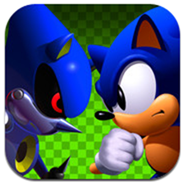 Sonic CD For iPhone And iPad Rolls Into The App Store – Download Now! The App Store is full of many great boredom-busting games. From puzzlers such as Bejeweled Blitz, physics-based challenges like Beyond Ynth, and the visual marvels such as Infinity Blade II, there’s literally something for everybody. Aside from the aforementioned, there are an abundance of nostalgia-inducing titles which quite beautifully recreate the feel, look, and memories of the 80’s and 90’s gaming experience. 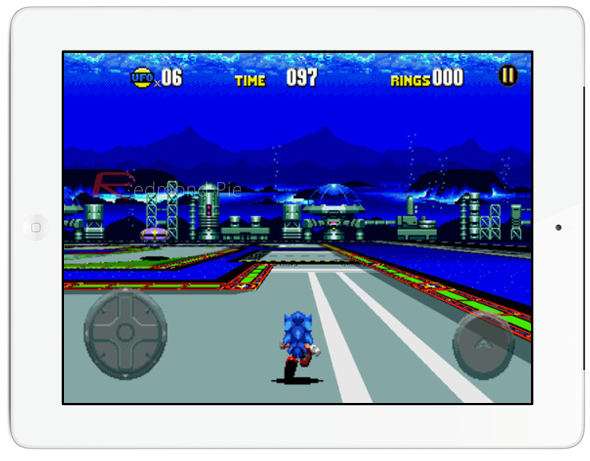 Sonic CD has just landed at Apple’s iTunes App Store, and fits that bill entirely. Sonic is back and on his usual quest to defeat scheming Dr. Eggman, collecting an abundance of gold rings in the process. Despite SEGA not enjoying the same kind of influence in terms of consoles seen in times past (Genesis, Saturn, and the bulky bundle of fun known as the Game Gear), its titles continue to dazzle and entertain consumers, particularly on smartphones and tablets. 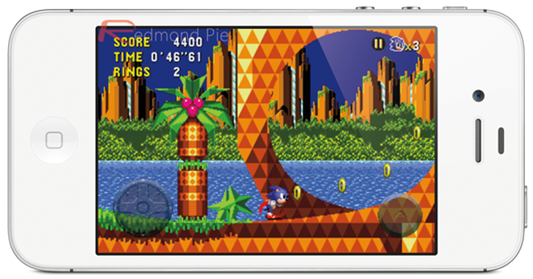 Sonic CD is available to iPhone and iPad users, with both priced at a very reasonable $1.99. With iPad versions often significantly more expensive than its downscaled counterparts, it’s refreshing to see tablet users not being ripped off this time around. Until Nintendo finally accepts the reality of what’s happening, we’re going to have to settle for the many, many Mario clones available over at Apple’s iOS hub. The Japanese company, which has enjoyed many years as a main stayer within the gaming spectrum, has seen better days in the eyes of many analysts. After all, with Microsoft quite spectacularly cornering the interactivity of the Wii with its immensely popular Kinect, the once-favorite has been well and truly eclipsed in what it can offer gamers. The Wii has faded, and rather similarly, Sony’s PlayStation 3 has taken the backseat role to the Xbox 360, which continues to gain popularity and establish itself as the number one games console. Sooner or later, the value of porting the classics such as Mario Brothers, Mario Kart and Zelda will be realized, and that day will certainly be seen as a milestone for those twenty / thirty /forty something’s itching to relive those childhood classics on their mobile devices. Sonic Racing, a Mario Kart-like title involving Tails, Dr. Eggman, Sonic, and even B.D. Joe of Crazy Taxi fame, is also available over at the App Store, and it does truly encapsulate what every ardent gamer loves – challenge, excitement, playability and a decent set of varied tasks and achievements to keep everything fresh. It’s certainly worth checking out if you’re a Sonic enthusiast.